Keep in mind that Banisadr was a math scholar – definitely not an intellectual pushover – before he joined a political group that would evolve into a destructive, terrorist cult, not unlike ISIS, ISIL or IS. He and hundreds of thousands were recruited and unduly and unethically influenced by a cause and an unscrupulous cult leader. He saw his life change in a way that pushed him from being in the driver’s seat of his own life, to being forced into becoming a super submissive back-seat passenger going along for the ride. How all of this happened to him personally becomes the finely woven fabric of the book. Recent studies of the Al-Qaeda phenomena confirm that “social injustice” has been the basic reason for that movement’s attraction for young Muslims. Heavily loaded with logical fallacies, “group-think” defines everything as either “good” or “bad” when it comes to pleasing God. You are either with us or against us. There are only simple black-or-white solutions for life’s complex problems. You can “live forever” – but only if you obey the group’s “God-given directions.” Never ask questions or express doubts about the group’s core beliefs or policies. And by supporting extreme shunning of ex-members – even your own parents or children – proves that you truly “love God” and the “God-appointed” leaders of the group. 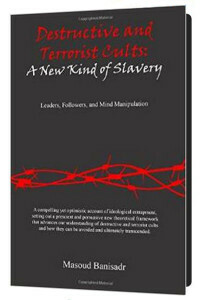 To learn more about the clear and present danger of “undue (and unethical) influence” – or as Banisadr calls it, “mind manipulation” – and also how we can eventually resist this fast-growing menace to free and democratic societies, I highly recommend that you read Destructive and Terrorist Cults: A New Kind of Slavery. Thanks, Richard, will put this book on my list! JW claims to know what is love or unconditional love, but in their organization they don’t have it. The main reason because they cut off God and they view everyone on Earth as enemies of God if they are not JW. Whatever religion that you believe in it says in the Holy text that God reached out to people because he loves people and all of his creation deeply. In some religions, he came as an incarnate in order to establish direction or examples and relationship with mankind. God did not shun out anyone, but came on Earth to do his leadership teaching about love, peace, respect, truth, good actions, and more. 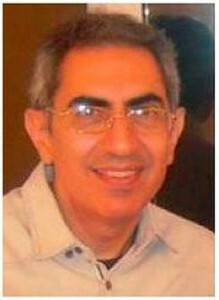 He wants people to establish a relationship with him a deep one and to understand their purpose in life. He also wants people to make a positive impact to nature, people, and animals through good works (such as environmental and animal protection, volunteering at animal shelter, help the poor, clean litter, plant trees, being a positive role model to others, and other ways). JW doesn’t believe in God’s teaching, but sin using the bible to attack others beliefs and to convert them into their JW in order to cut off people from God and the world. Another great book to add to my collection! !